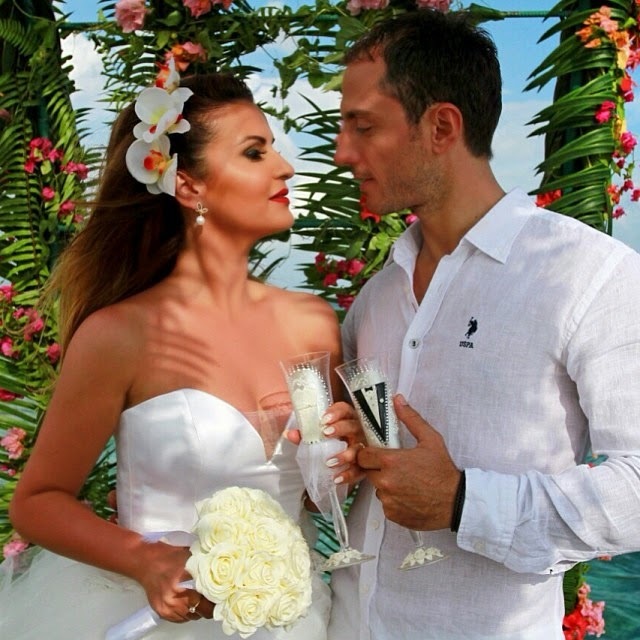 Singer Ryva Kajtazi seems to have ended her bachelorette life. She made this known via pictures posted on Instagram, where she is seen wearing a white dress in a private marriage ceremony with her ​​spouse Fidan Rexhepi, with whom she became engaged in December 2012, precisely on a symbolic date 12.12.12. The ceremony took place in Maldives while it seems that creator Flutura Dedinja is the one who took care of her white bridal dress. Zanfina Ismajli: My first time stripping, why not show the beauty! Singer: My love relationship ended in February! Nora Istrefi instead Tuna in "X Factor"
Albana Osmani makes appeal: Protect yourself from accidents! Tuna and Getty disappoint with video "MMV". Fans: "Your clock stuck with the bird"
Mateus Frroku chills out with a beer "Korca"